The Perfect Commentary for Teachers and Preachers! This outstanding commentary series just got better; now complete with sermon and teaching outlines. General editor, Lloyd J Ogilvie brings together a team of skilled and exceptional communicators, blending sound scholarship with life-related illustrations and useful outlines for teaching and preaching. 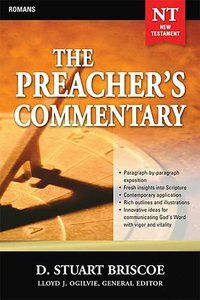 About "Romans (#29 in Preacher's Commentary Series)"